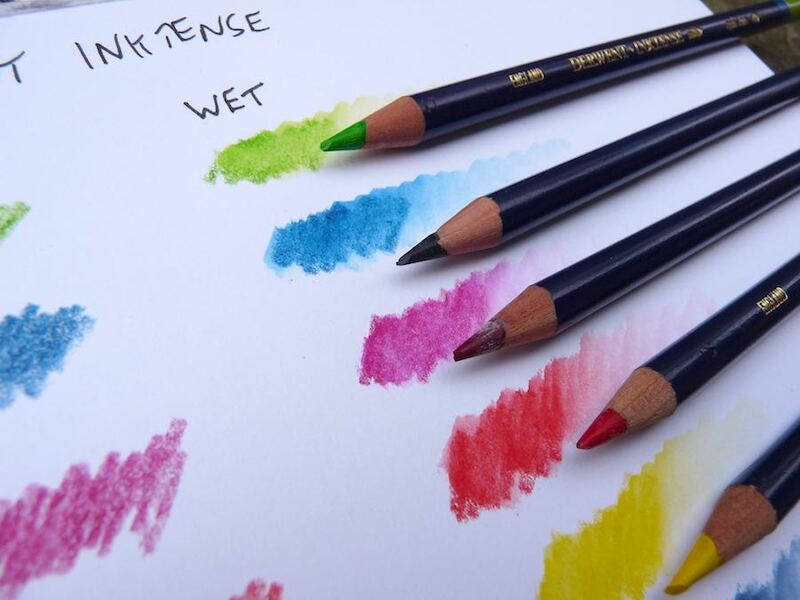 Derwent Inktense Watercolour Pencils – Pens! Paper! Pencils! 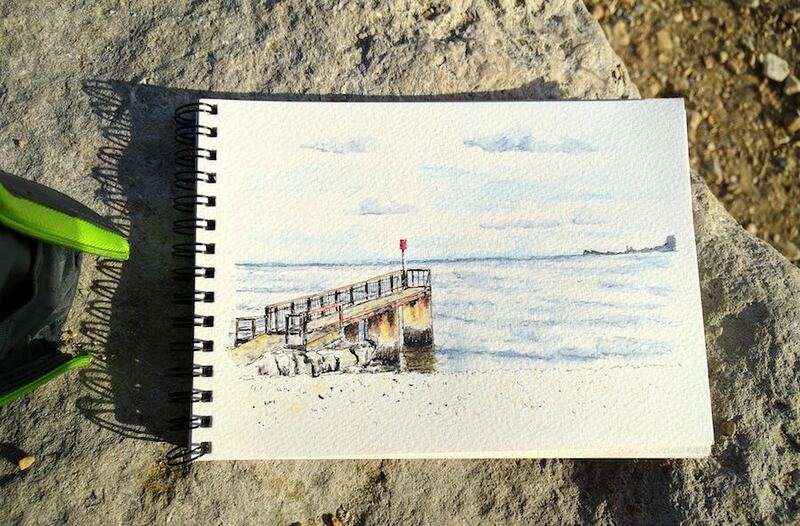 Here’s a sketch I did a few weeks ago on a sunny autumn’s day by the sea. I really enjoy this combination of ink and watercolour pencils. Using pencils rather than paint helps to stop me overworking a picture, a constant battle I have with myself. 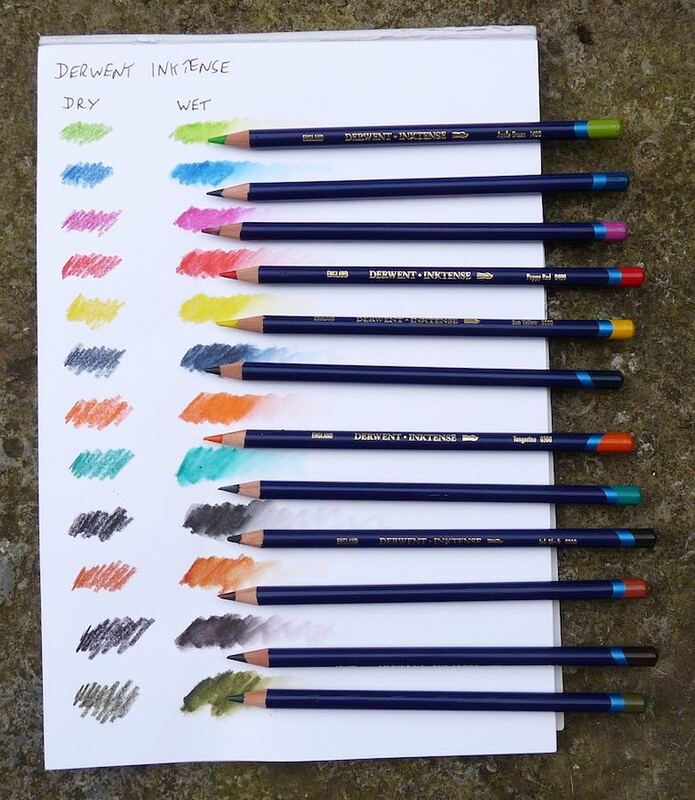 These Derwent Inktense pencils are available in seventy-two different colours but I have a set of just twelve. They’re quite waxy so need lots of sharpening if you want detail. They’re great for filling in areas, big or small, though. Where they excel is in the intensity of the colour they give. Dry, the colours are good and strong but after applying water they really come alive. It’s really worth investing in a set of good quality watercolour pencils if you want a quick and convenient way of adding colour and texture to your sketches and you won’t go wrong if you pick up a set of these. I was able to get these pencils at a discount thanks to Cult Pens’ support of the site. These are my own honest opinions. These sound good. 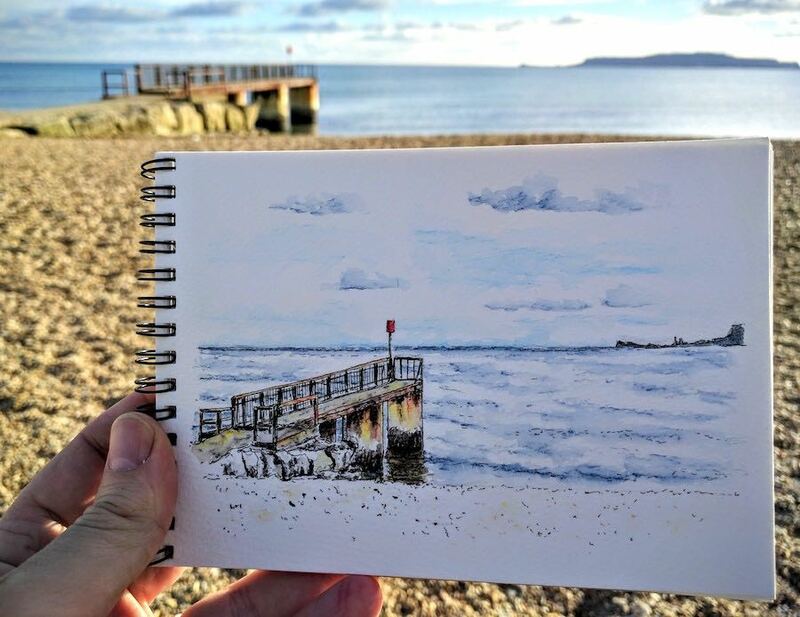 I quite fancy having a go at watercolouring… Maybe this would be the way to go first.